„On behalf of the Board of Trustees, the youth you are helping and all who are concerned with the Boys & Girls Club of Atlantic City, I want to express our most sincere appreciation for inviting us to participate in The Happiest 5K on the Planet! „The complete process, from marketing the event to assisting in the Color Zone, was such a memorable experience for our staff and children. 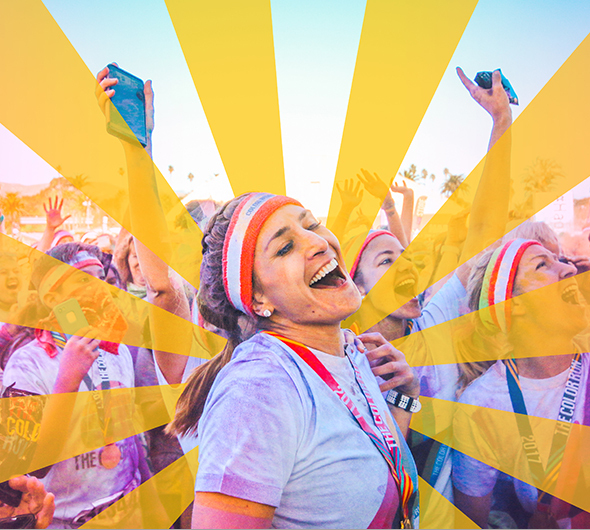 This event truly stands out from other 5Ks because of your unique happy powder, your generous give-back component and the consistent support we received from your organization. You and your staff are professional, kind, knowledgeable and enthusiastic, which is the perfect recipe for a successful event! Our children are still talking about their experience and we hope to partner with you again in the future.